Financial education for your employees is a small investment that can reap large dividends. The purpose of creating a company is to create profit. Yes, you want to provide a product or service but ultimately you want to create money. You didn’t create a non-profit, after all. If we can agree that small business owners (I’m thinking companies with fewer than 25 employees) are trying to increase their bottom line, let me share with you one easy way to increase job attendance and increase employee retention: provide financial education for your employees. You need your employees to be at the job, on time, and ready to work. When they are worried about paying bills, keeping food on the table, investing for their children’s college education, and investing for retirement with whatever is left that doesn’t leave a lot of bandwidth to perform on the job. The person is there, but mentally checked out. If things get really bad, financial concern leads to emotional stress and stress can lead to physical illness, which leads to … you guessed it: absenteeism. Providing optional financial education classes in person or via webinar on budgeting, debt elimination, credit building, funding a child’s college fund, and retirement can take away some stress and help employees get back to focusing on work. You’ve spent time to seek out and train employees, you want them to stay with the company for a long while. Providing opportunities for employees to see how staying with the company can help them achieve their life goals is an easy way to get employees to stay put. A small investment in training can reap large rewards down the road. Reduce credit card and student loan debt. Choose a strategy for paying for a child’s college expenses. Understand the different retirement investment options available. Call (323) 596-1843 to talk with Shay Olivarria about setting up a financial education workshop for your group. 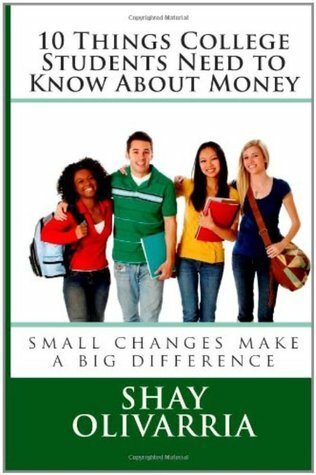 Shay Olivarria is the most dynamic financial education speaker working today. Previous clients include: the Yorba Linda Water District, Verizon, and Friends of Allensworth, among others. She has written three books on personal finance, including Amazon Best Seller “Money Matters: The Get It Done in 1 Minute Workbook”. Shay has been quoted on Bankrate.com, FoxBusiness.com, NBC Latino and The Credit Union Times. This entry was posted in Small Business, Uncategorized and tagged absenteeism, productivity, Small Business. Bookmark the permalink.